Are you looking for a complete guide to walk you through every aspect of your skiing holiday? Whether you’re looking for a luxury winter break or an action-packed week of skiing, we have the answers to your questions. With summer quickly coming to a close, it’s time to start getting excited about the 18/19 winter ski season. Chamonix is considered to be one of the most prestigious settings in the Alps, supplemented by world-class services from local businesses which make Chamonix the ultimate winter destination. However, we understand that organizing a holiday of this nature can be hard work, especially if it’s your first time. This is why we’ve compiled an ultimate guide to talk you through every aspect of your break. The ski season in Chamonix will officially kick off on 15th December 2017 and will draw to a close on 1st May 2019. The later closing of the season is to accommodate for the new Musilac festival which will be landing on the weekend of 26th April 2019. (These dates are subject to weather conditions and could be susceptible to change). Some areas such as Les Houches, Le Tour, Brevent, and Flegere could all open for earlu weekend openings from 17th November , depending on the amount of snow fall. We’ve created a full table below which will provide you full opening times in the area for the 2018/19 season. During the winter month’s flights are available from multiple UK airports, including all major London Airports, Manchester, Bristol, Bournemouth, Leeds, and more!We recommend that you fly to Geneva when planning a trip to Chamonix. Geneva is a well connected international airport from most European cities and is considered to be the most popular choice for travelers heading to Chamonix. Flights from London, UK take on average 1h 23mins. British Airways, Easy Jet, Monarch Airlines, Thomas Cook, Thomson Airways & Swiss International airlines all operate between London and Geneva. 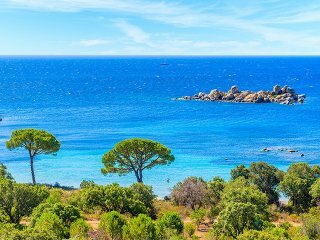 Skyscanner is a great tool you can use to find flights which are most suited to you and your group. Turin, Italy. and Lyon, France. are also viable options however transfer times are considerably longer. Transferring from the airport to your accommodation can be a stressful experience; however, you can make your life easier by booking your transfer in advance. The transfer from Geneva to Chamonix is around 1 hour, depending on weather and traffic. Mountain Drop off’s is a transfer service which offers both private and shared services from Geneva to Chamonix at a low cost with prices for a transfer from Geneva to Chamonix starting as low as €25. Availability during the busier peak weeks can get fully booked, so we would recommend booking your transfer as far in advance as possible. There are many other transfer operators offering transfers from Geneva to Chamonix such as Cham express, Cham Van and Haute Pursuits. So do spend a bit of time shopping around for the best prices. 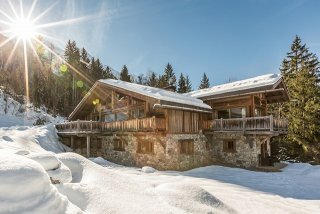 If you choose to stay at one of Amazon Creek’s luxury Chamonix chalets, a private transfer will be arranged to pick you up from the airport and take you directly to your chalet. This is included in your holiday at no extra cost! If you’d prefer to skip the airport transfer and ski buses during your stay, there is also the option of hiring your own car from Geneva airport. In terms of pricing, when booking well in advance you can expect to hire an average family car for around £380 from Hertz. Prices for car hire vary depending on the duration of hire, the driver’s age, the type of vehicle, and your choice of car model. If you’re looking for elegance on the road, prices for more luxurious cars such as the Mercedes E-Class cost approximately £870 for seven days. Car Hire supplier Hertz also offer luxury cars like the Maserati Quattroporte 4x4 for just over £2,000 for a seven day period. Many tourists who visit Chamonix decide to take the road trip and drive from home to the popular ski resort. This may be something you should consider if you’re traveling as a family or large group, as you can save quite a bit of money on air travel. From either Calais or Boulogne there's a toll motorway to Chamonix, which takes on average eight to nine hours in normal driving conditions. If you’re imagining driving down winding roads all the way to Chamonix, don’t panic. The journey is mostly on the French toll roads, with only the last 20km being off the motorway. The added benefit is that you’ll be free to travel between the resorts in Chamonix in your car rather than relying on public transport. Catching the ferry from Dover to Calais is frequent and easy as there are 23 daily crossings between the two points. The two main ferry companies who operate between the crossings are P&O Ferries and DFDS Seaways. 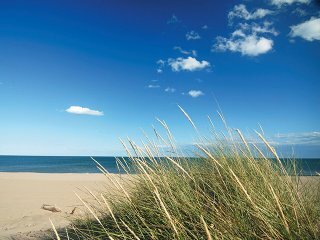 Prices for crossing the channel begin at around £70 and the journey takes around 90 minutes, giving you the chance to have a bit of rest! If you’re looking for a faster journey, the Eurotunnel is a quicker, but a more expensive option. The average journey time from Folkestone to Calais is only 35 minutes; however, you can expect prices to start at around £130. The most popular route which tourists tend to make from the ferry or Eurotunnel is Calais – Remis – Dijon – Geneva – Chamonix. It total this route is around 900km long and it can be expected to take 9 hours. There are a few useful websites such as the AA Route Planner which will help you along the way. On your return journey to the UK, you should follow signs to Geneva – Dijon – Chaumont – Reims, and Calais. It is also important to note some French laws you need to abide by. You are required to have a reflective vest, emergency warning triangle and an approved breathalyzer kit available for use at all times in your vehicle. Failure to have either could result in a fine of over €100, meaning less money in your pocket before your holiday even starts. In addition to this, in winter it is also a legal requirement for you to have a set of snow chains handy, should your vehicle get stuck in the snow! 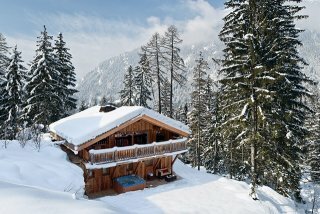 Here at Amazon Creek, we offer a selection of luxurious winter Chamonix chalets. 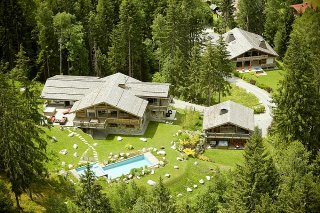 Four luxury chalets sleep up to ten people and come with concierge and full services, such as a personal driver and chef. Chalet Dalmore is fitted with five exquisite bedrooms, each of which comes with an en-suite bathroom. 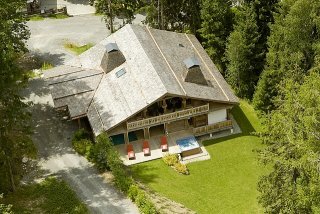 This chalet is also equipped with a large cinema room, sauna and massage area to unwind after a hard day skiing. 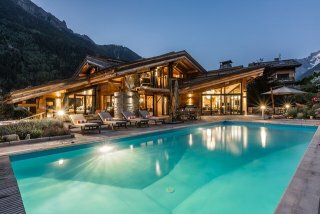 Chalet Amazon Creek offers equal luxury and facilities, including an indoor Jacuzzi and spa, this chalet has unrivaled views of the Aiguille de Midi. Chalet Baloo offers visitors a unique rustic farmhouse setting, which allows guests to relax and unwind with nature. All of Amazon Creek’s luxury Chamonix chalets come with around the clock service during your stay. The smallest luxury chalet, Baby Bear is perfect for couples and small families, which comes with the same quality service as all of our other chalets. Within baby bear, you can sleep up to 6 guests in 3 bedrooms, with the added extras of a sauna, exterior hot tub and cinema room. There are also alternative accommodation options available in Chamonix. TripAdvisor offers users with up to date advice and information on hotels in the local area. There are three main types of ski pass available for you to purchase in the Chamonix area. The most popular pass is the Mont-Blanc Unlimited pass (MBU), which allows customers to ski, unrestricted across the whole of the Mont-Blanc area, including neighbouring resorts. The Chamonix Le Pass (CLP) only allows customers to ski in the local area; however, we would recommend this pass for beginners and those coming for a short stay. Finally, you have the Rapid Card, which is a pay-as-you-go multi day pass, which you can use on nonconsecutive days. The Mont-Blanc Unlimited (MBU) ski pass provides you with unlimited access to Chamonix, Les Houches, Courmayeur (Italy), Verbier (Switzerland) & Mont Blanc Evasion. In addition, the pass also gives you access to Aiguille du Midi, Montenvers train and the Tramway du Mont Blanc. Mont-Blanc Unlimited ski passes which are 3+ days also provide users with added benefits such as unlimited access to the Chamonix swimming pool (don’t worry, it’s indoor! ), skating rink and local museums. The Chamonix Le Pass is a more restricted local pass, however, we believe it’s more suited to those who are visiting Chamonix for a short period or if this is your first time on the slopes. The Mont-Blanc skiing area is so vast that if you’re only skiing for a short period, you simply won’t have time to explore it all. Therefore, it may make more sense to you to explore the local resorts and save yourself some money. This pass gives access to the three main valley ski areas; Grand Montenvers, Le Tour and Brevent-Flegere, as well as the beginner areas at the valley floor. Ski pass prices for Chamonix fluctuate depending on the time of the season, ski area coverage and duration. A 6-day MBU pass for one adult is €315, for children it is €267.80 and for 2 adults & 2 children, passes are priced at €976.60. You can purchase them online at Mont Blanc Natural Resort. However, as part of Amazon Creek’s (or any luxury chalet or hotel) pre-arrival concierge service, they will organize all of your ski pass requirement so that your ski passes are ready and waiting for you at the chalet on arrival. If you are purchasing your tickets in Chamonix however, you can do so from the desks at the bottom of each lift station or the main ticket office in Chamonix town center. If you are really organized in advance you can take advantage of the discount offers online, and have them delivered to your chalet, hotel or to your home, just don’t forget to pack them! If you purchase the Mont-Blanc Unlimited Ski Pass, you are able to explore one of the most beautiful skiing resorts Italy has to offer. If you’re traveling by bus during your stay, you’ll need to book your travel online through Savda. The bus will pick you up from the Chamonix Sud bus stop and will drop you off in the Courmayeur town center. From the drop off point, you’ll be able to access the local tourist center and it’s just a five-minute walk to the main gondola. Before skiing, you simply need to visit the cash desk with your ski passes and they will activate it for you. Chamonix is widely considered as one of the best skiing resorts in Europe due to its vast scale. Whether you’ve been skiing for as long as you can remember or if this is your first time on the slopes, there’s something for everyone. For the seasoned expert, Le Brevent and La Flegere combine together to form the largest skiing area in Chamonix, the two areas are linked by cable car, allowing easy access to both. This area offers some of the best views of Mont Blanc at the summit and it’s the closest skiing area to Chamonix. For a mixed ability group, consider heading over to Les Houches. Here you’ll see some of the most breathtaking scenery you could possibly view in The Alps. The slopes are lined with pine trees and large forests which will make for unforgettable viewing. If you’re a skiing newbie, don’t worry, there’s an area specifically designated for you! Le Domaine de Balme’s the nursery slope in Vormaine is a perfect match for anyone who is new to the slopes, and looking to improve their skills in a safe, but equally beautiful setting. Due to the vast nature of the ski regions in Chamonix, at times it can be difficult getting from place to place as the only means of access is by road or train. In the winter season, bus and train transport along the valley is frequent and provides a great service. There is a ski bus which travels up and down the Chamonix valley on a daily basis, which provides locals and tourists transport to the skiing terminals. Bus travel is free for those who have a valid ski pass for the Chamonix resort and you will be able to access a bus stop on the main road in your village. If you’re visiting one of the many local bars or restaurant and you don’t fancy the walk home, there are also a few taxi services available in Chamonix. We would recommend using Haute taxi services while staying in Mont Blanc as they offer exceptional services. You’ll be able to book your taxi services via phone on +33 (0)480 806 188 or email to book in advance at transfer@hautepursuit.co.uk. For anyone staying at a chalet with Amazon Creek, you will have chauffeur-driven vehicles provided for you throughout your stay, for you to use as you please, so no public transport, and you have the pleasure of being dropped off and collected right at the lift stations. If you’re looking to buy your skiing gear outright, then websites such as Blacks offer a range of different brands to have a look at. Most of the clothing is at an affordable price and they’ll kit you out with pretty much everything you need. If you’re looking to be the trendiest skier in Chamonix, check out Vogue’s guide on the best ski wear to buy now. Alternatively, if you’re looking for luxury, head to White Stone, who provide customers with a selection of premium ski wear and equipment. Alternatively, if you’d prefer to rent your ski clothes, most ski shops in Chamonix offer this service at an affordable cost. Head over to Sanglard if you’d like to book your clothing before you travel. We recommend using our trusted partner Concept Pro for ski/snowboard hire in Chamonix, they offer excellent service for rental, equipment servicing as well as a boot fitting should you wish to invest in purchasing your own ski boots. There are other rental stores available such as Sanglard, Praz Sports, Zag Skis and Ski Perf. If you’re going to wait until you arrive in Chamonix to hire your equipment, don’t worry! All villages and towns in the area have a ski shop where ski hire is available. We also highly recommend hiring a helmet when skiing as it provides life-saving protection should you fall. Helmets are readily available in any ski store. 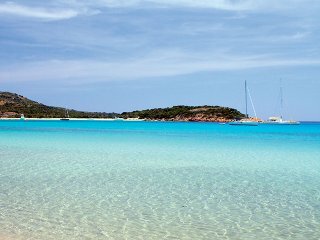 Holiday insurance is something which is often overlooked or rushed at the last minute. However, when planning an active winter holiday it’s something which is highly advised. Holiday insurance is easy to organize and websites such as Insureandgo can provide you with a quote in less than one minute. Ensure you have winter sports cover. You can also add mountain insurance cover to your ski lift pass when purchasing your ski pass. Even for an active person, skiing nonstop while on a winter break can be a tough ask. That’s why it’s a good idea to limber and crack out of few gym sessions prior to hitting the piste. Men’s Fitness offers a great run-down on the 5 best gym exercises to get stuck into before embarking on your winter break. We understand that not everyone has an active gym membership, but you can still make sure you’re fully prepared for your break in the comfort of your own home. Red Bull has put together 5 ski exercises you can do at home so you can prepare without even leaving the house. Take a look at our Ski Ready Series here! ESF Chamonix offers one of the best services when it comes to children’s ski schools. Regardless of your child’s ability, the instructors at ESF will be able to teach your child all the necessary skills to improve their abilities in a fun and exciting environment. ESF offer group sessions, which will allow your children to make new friends, or alternatively they provide private lessons so your child can develop their skills at a quicker rate. Alternatively, other great ski schools such as Evolution 2 Ski and Chamonix Ski instruction offer great service for both adults and children with competitive rates which start at 135 for 3 x 2.5hr sessions. There are a number of ski schools who offer services which will be directly suited to your needs. We recommend that you use our trusted partner ChamEx, who have years of experience instructing a range of winter sports and activities in Chamonix. Through ChamEx you can organize private ski or snowboard lessons. They also offer a variety of activities whilst visiting Mont Blanc. There are other ski schools we recommend, such as Authentic Alpine Venture. If you fancy something different, Chamonet also allows you to find instructors for a range of activities in the Chamonix area, including snowboarding, cross-country skiing, glacier walking, snowshoeing, hiking and ski jumping. If you fancy a day off from racing down the French slopes on your skis, then there are still plenty of other options available to you. Snowshoeing is an activity which enables anyone, young and old to escape the crowded slopes and explore the true beauty of the French Alps in peace. Fancy exploring with a guide? Snowshoeing adventures are available with guided instruction from companies such as Track & Trail. Husky sledding is also available and the dogs are waiting for you in Chamonix. You have the choice of riding the sled yourself or sitting back and enjoying the experience as a passenger. You can find more information on Husky Sledding through Husky Dalen or EVO 2. For over 100 years a train named the Montenvers has been making its way up the Mer de Glace for passengers to enjoy some of the best views the French Alps has to offer. On the journey, you will be guided through pine forests and dark tunnels before emerging beside the Mer de Glace at the top of the mountain. While you’re at the top you have the opportunity to visit a crystal museum, ice caves and even the Temple of Nature! If you’d like to capture the breathtaking views of Mont Blanc from another angle, then you may consider taking a ride on the Panoramic Mont-Blanc Gondola. The gondola is however only open during good weather so make sure to plan in advance if you’re hoping on seeing the views! Chamonix is well known for having some of the finest cuisines around. The scenic French commune offers everything from exquisite fine dining right through to homely pub grub. Whether you’re a meat-lover, vegan or gluten free, there’s something for you. Craving a hearty breakfast before hitting the slopes? Look no further than Elevation 1904 who have received a certificate of excellence on trip advisor for their amazing grub and friendly service. There should be no need to book but if you want to make sure you can call them on +33 4 50 53 00 52. Pretty much all villages have local eateries for you to grab something quickly before setting off for the day. If you’re looking for something quick and easy in the area then there are a number of options. Poco Loco should be your number one choice for a quick bite. 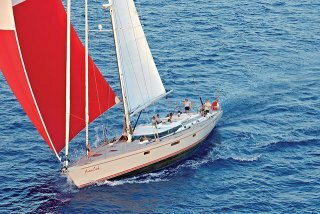 They don’t have a website but you can book on Facebook or by calling them on +33 4 50 53 43 03. Why not also head to Moo Bar for probably the best burger you’ll ever taste, you’ll be able to find them in Chamonix town center. Even if you’re gluten free, there’s somewhere for you in Chamonix. Hibou Deli is a central eatery in Chamonix which offers cheap but exceptional cuisine which is suited to vegetarians, gluten-free eaters and anyone who appreciates good quality food. Looking for grub while you’re skiing? All resorts will have bars and restaurants available for you while you’re skiing but we thought we’d mention a special few you must visit! La Chavanne is a mountain bar with unrivaled atmosphere and excellent service. You’ll be able to ski to their door in Telesiege de la Chavanne. Be careful though, once you’re in you may not want to leave to carry on skiing. You’ve been warned! If you’re looking for the best meats and steak in the area you should consider heading to La Remise, which is an Argentinean steak house considered by many to be one of the finest restaurants around. Alternatively, if you’re looking for the finest local French cuisine in Chamonix, head down to L’Atmosphere. We consider this town center eatery to be the best value French restaurant in Chamonix. One tip from us is to ask for a table overlooking the river when you reserve, thank us later! Chamonix also offers more relaxed restaurants, which still maintain the same level of excellence and quality. Casa Valerio is an authentic Italian restaurant with a global award-winning owner. The restaurant offers over 40 different pizzas so you’re sure to find something you like down at Casa Valerio. The great food and service they provide is sure to keep the kids happy too. Who doesn’t like pizza? If you’re self-catered in Chamonix or just fancy eating in one night, you’ll be able to stock your fridge at one of the many local supermarkets in the area. There is a larger Carrefour Market just off the main road in Chamonix. You’ll be able to find them at 339 Route Blanche, 74400 Chamonix-Mont-Blanc, France. Opening times are 8 am – 7:30 pm Monday – Saturday and 8:30 am – 12:30 pm Sunday, so make sure you travel at the right time to avoid disappointment. There is also a Super U supermarket in the town center. We guarantee that in Chamonix, you’ll be able to find a bar or club which matches your preferences. Whether you’re looking for a drink or two after plowing down the slopes or staying out until the early hours, you’ll be able to find it in Chamonix. Moö is one of the most popular bars in Chamonix and is currently one of the only bars in the region which offers a self-service beer tap, so the drinks will only stop when you want them too. If a more sophisticated pre-dinner drink or glass of bubbly is more your style then Les Caves has a great cocktail list. Situated on Rue Des Moulins in Chamonix center, along with a few other trendy bars. L’Amnesia is one of the most popular and a notorious nightclub’s in Chamonix with parties often lasting well into the early hours of the morning. 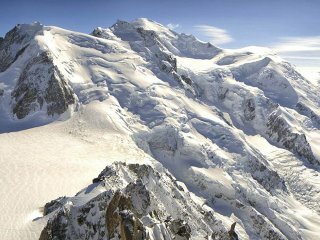 You’ll be able to find the club placed near to the Aiguille du midi cable car. The dress code for the bar is informal however you are advised not to attend in your ski wear if you’re planning on staying late. In July 2017 it was announced that Musilac was coming Chamonix. After a successful first year the festival will run again from 26th to 28th April 2019. In the past, artists such as Jamiroquai, Elton John, and David Guetta have all made memorable appearances. The artists appearing at Musilac 2019 are already being announced! We hope that our ultimate guide has been useful for planning your trip to Chamonix for the 2018/19. Please feel free to send us an email to enquires@amazoncreek.com if you have any further questions or wish to enquire about one of our luxury Chamonix chalets. 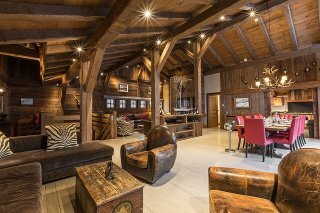 How to choose the best 'luxury ski chalet' for you and your family. Must have equipment for the high-tech skier and snowboarder this season.